We've actually blogged about apt-fast back in 2009 but since then, the script has received some important changes so I've wanted to update our readers with its current status. Since our previous apt-fast articles, the script has gained support for multiple download tools (axel and aria2), an option to download the binary in the current folder as well as an option to use either apt-get or aptitude. Furthermore, apt-fast has an official PPA for Ubuntu users and it's even present in the official repositories for some Linux distributions, like PCLinuxOS for instance. Don't expect the script to do wonders for slow Internet connections (though I can't really comment here since I have a really fast connection), but if you have a decent Internet connection, you should see some pretty big improvements in downloading the binaries. This is especially useful for installing / upgrading multiple or large packages, such as games (hint for 0 AD fans). 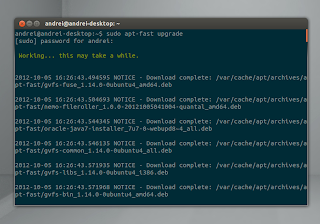 apt-fast only speeds up downloading the binaries, so even though 'apt-fast update' works, this command isn't ran using a download accelerator so the speed is the same as with apt-get. Support for the 'update' command is, however, planned for a future release. If you can help implement this, see the apt-fast GitHub page. 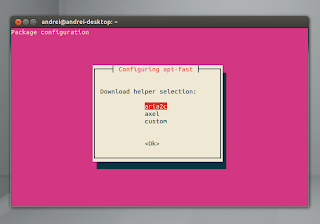 aria2c is the download tool recommended by the apt-fast developers, mostly because it supports resuming downloads. For other Linux distributions, you can download apt-fast from GitHub. 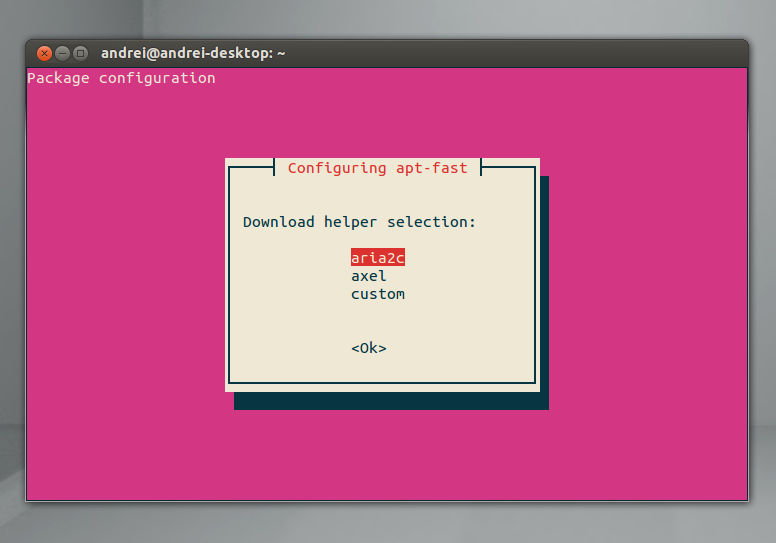 apt-fast works the same as apt-get and all you have to do is use "sudo apt-fast install PACKAGE" instead of "apt-get" and so on for any operation. Like I was saying, the commands are identical to apt-get and all you have to do is replace "apt-get" with "apt-fast". There's also a download command ("apt-fast download PACKAGE") which downloads the binary into the current directory. If you encounter bugs, report them @ Launchpad or GitHub.